In order to get the most out of corporate team building and deal with ongoing workplace challenges, and for a company to be successful, you have to build up your workforce’s engagement in several areas. You want them to be fully committed to their work, immersed in your corporate culture, and skilled at communicating. Another solution that combines all of these things is collaboration. Corporate team building activities (such as escape room games) are one of the best ways to get your employees working together, improve important skills which will help your team work well together, help them to become more productive and have a positive can-do attitude. They promote the importance of individuals to the overall team goal. Corporate team building activities like escape room games require each participant to contribute to the group’s problem-solving mission. They require good, old-fashioned thinking. Everyone’s so “plugged in” at both home and work that they’re living life through a device. Exit games make you rely on your brain and your teammates to be successful. They foster a positive environment where there is healthy competition and a real buzz in the office where everyone is on the same page, and everyone wants to win. 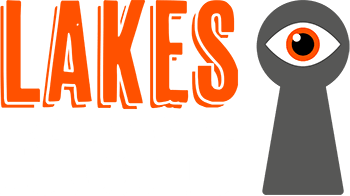 Escape room games break down those walls and allow creativity and collaboration to happen naturally. If this is the type of corporate team building activity in West Cumbria you have been looking for, contact us for more information about corporate bookings today.